The left hand may be for love, but the right hand is for you. 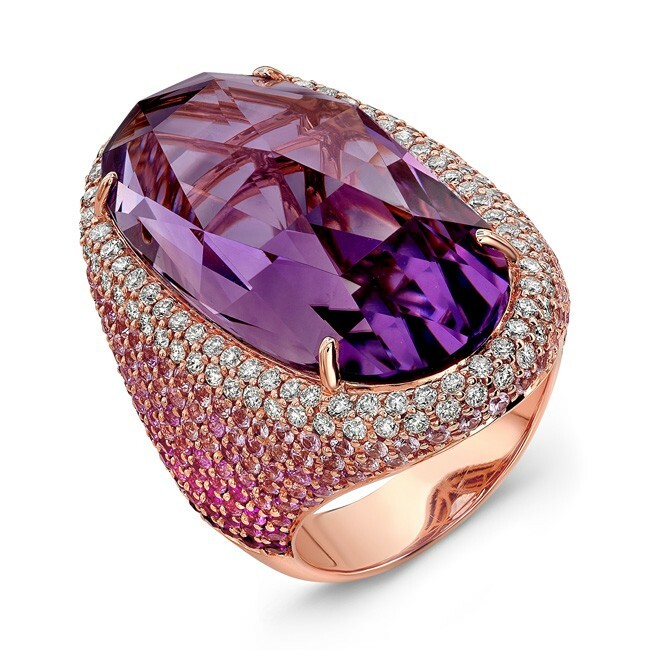 A breathtaking amethyst emerges from a halo of 100 brilliant diamonds, while 250 pink sapphires cascade down the sides of this 18-karat rose gold ring, their hues morphing from palest to deepest as they go. This exuberant ring adds color and vivacity to any occasion, whether day or night, everyday or special event. Diamonds: 1 carat total.